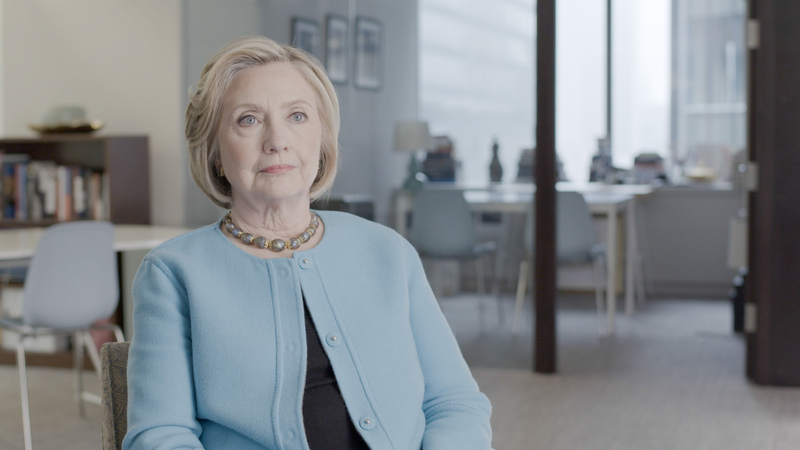 Editor of The Detail Steven McCaffery reports from New York, where Hillary Clinton hits out at Brexit, highlights fears for the Good Friday agreement, and cites the misuse of data as a threat to democracy. SO much has happened since that night in Belfast. Thousands of people, wrapped up against the cold, filled the streets outside City Hall. Children were held high, waiting for the lights on the Christmas tree to be switched on. When the bulbs flashed to life, the crowd cheered. After decades of violence it felt like the first public outbreak of optimism. Hillary Clinton inevitably played a supporting role at the ceremony, with her husband US president Bill Clinton centre stage, but the moment stayed with her. “Going to Belfast and then later that trip to Derry in November of 1995 was one of the most important, transformational experiences that I personally ever had in a public political context,” she says. She is sitting in her New York office. Fog shifts around the Manhattan skyline outside the windows. Inside, old election posters are dotted discreetly here and there. In a conference room is a row of three picture frames filled with campaign badges from down the decades, but the nods to her past high-profile career are understated. She had arrived with a small entourage, and chatted cheerily with other visitors. When the interview starts, it’s immediately clear the 70-year-old politician is just as engaged with issues in Northern Ireland – and a whole lot more besides – as she had been in the 1990s. “You hear about what happened in the Troubles, you read about it, but going to Belfast, when there was by no means a consensus that a different path forward was possible, meeting some of the major players on both sides of the community divide, some of whom wouldn’t talk to me or shake my hand. “Standing at the city hall in front of that huge crowd for the lighting of the Christmas tree and seeing the hopefulness and the incredible energy of people of all ages, particularly young people and young parents. “The number of children sitting on top of the shoulders of their fathers, or holding on tight to the hands of their mothers, was a reminder that what Bill was trying to do was so critically important – to give those children a different future. “At that amazing ceremony that night, children spoke. Children’s letters were read. So, making it about children, to try to move away from the arguments, the distrust, the violence among and between adults, in the Christmas season, was just an astonishing moment for me. “It’s easy to get cynical when you’re involved in political life. It’s easy to give up when you’re on the sidelines watching what appears to be intractable. “So being there for that occasion was just like getting an immune booster to hopefulness. You thought, there are thousands of people here who want a new future and there has to be some way to get the leaders who represent them, or claim to represent them, to come together to chart that path. “The exuberance of that moment was followed by months and years of really hard work that involved people having to be in the same room as their sworn enemies. Hillary Rodham Clinton has covered a lot of ground since then. In 2000 she was elected to the US Senate, and eight years later she made her first push for the presidency, but lost the Democratic Party nomination to Barack Obama. He would later appoint her as secretary of state. Clinton’s life and political career took an unexpected turn with the loss of the US presidential election to Donald Trump, but the significance of her involvement in the peace process and of her 2016 defeat continue to unfold. Since the US presidential election there has been a stream of public campaigns, from #MeToo to Time’s Up to the Women’s March, pushing back against the mistreatment of women. Why does she think this is happening now? “I welcome the push-back,” she says. “I welcome the very public efforts to try to deal with some serious issues in lots of countries, not just the United States or the UK or Ireland. I don’t know all the reasons but there is, as Seamus Heaney would say, there is a wave, there is a time in history where rhyming takes place. “And maybe after all the years of having people dismiss the concerns, the lived experiences of women, and maybe given the shock that my election provided to a lot of people, there is a real outpouring that we saw in the Women’s March, that we have seen in many settings since, of women, and men, saying ‘We’re not going to sweep these under the rug, we’re going to deal with them, we’re going to speak out about them, and hopefully we’re going to change, we’re going to change laws and attitudes and we’re going to give women the chance to be heard’. From an early stage, she was forming her own relationship with the peace process, which she continued when she was US secretary of state. 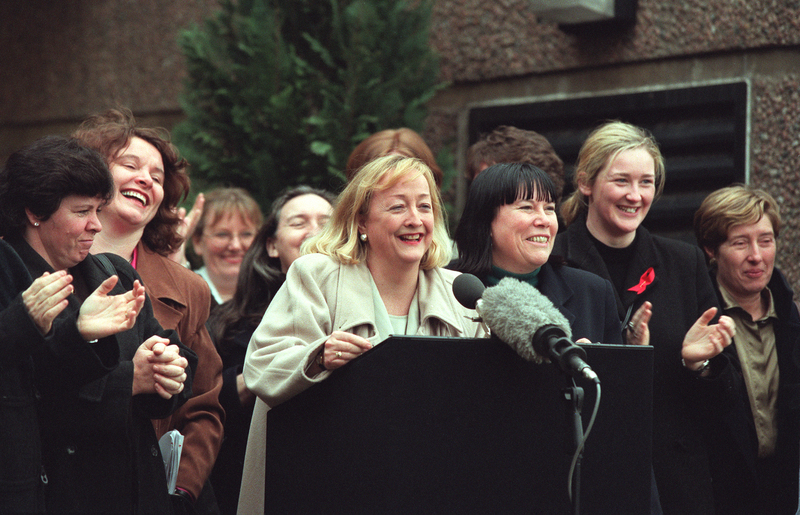 At the edges of the Belfast visit in 1995 she made connections with women in grassroots communities, a theme she has maintained throughout her career. She would later become supportive of the Women’s Coalition, the party which would go on to play an often underestimated role in the Good Friday agreement negotiations. Though seen as a friend of the peace process, Secretary Clinton was also prepared to play the role of a critical friend. 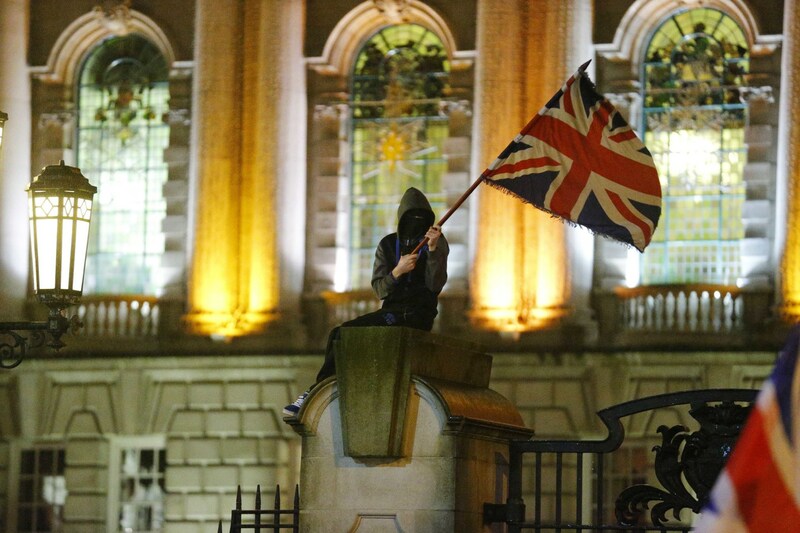 In 2012 when violence erupted over restrictions on flying the Union flag at Belfast City Hall, she told the Northern Ireland parties they had “to confront the remaining challenge of sectarian divisions”. She says now she is “proud and grateful” to see the 20th anniversary of the Good Friday agreement on April 10th, but she is also concerned at the collapse of power-sharing and the Stormont assembly. “It’s a good time to be reminded that there is still work to be done, including establishing a government. “I’m deeply concerned about what is not being done in pursuit of a governing agreement. I’m discouraged that the impasse has lasted so long. And now I’m just wondering, those who refuse to come together to create a government, what is the future they expect? She harks back to some of the difficult days of the peace talks when the two opposing sides seemed miles apart but somehow a way was found to bridge the gaps . Despite her obvious frustration with the failure to restore the power-sharing executive at Stormont, she must know that the UK’s plan to leave the European Union has fractured the political process in Belfast. When asked about the impact of Brexit, her response is blunt. “Much of what the Good Friday accords covered were border issues,” she says. “People wanted to trade and travel and support each other. Nobody knows what Brexit is going to mean. “Obviously, I don’t support it. I think it was a shortsighted and unfortunate decision that was in great measure motivated by misconceptions and myths about what was happening in the relationship with the EU. “That’s for the UK to sort out, but they better figure out what to do about the Border in order to maintain the peace. Who wants to go back to a time when it was frightening to cross the Border, it was frightening to go to the pub at night, it was frightening to walk your child to school? “Who wants to go back to that? In recent weeks the UK Brexit referendum has been linked to fresh allegations around the misuse of personal data to influence the result, which echoes the claims surrounding Donald Trump’s victory in the presidential race against Hillary Clinton. She says both require rigorous investigation. “It worries me a great deal, what we are learning about the manipulation of social media data, the fraudulent use of that to drive untrue messages, the role that Russia and other sources of money and influence play, both in Brexit and in the United States. “All of that bothers me because our democracy has to be protected and you cannot see something as serious as what we are now uncovering and not worry about what comes next. 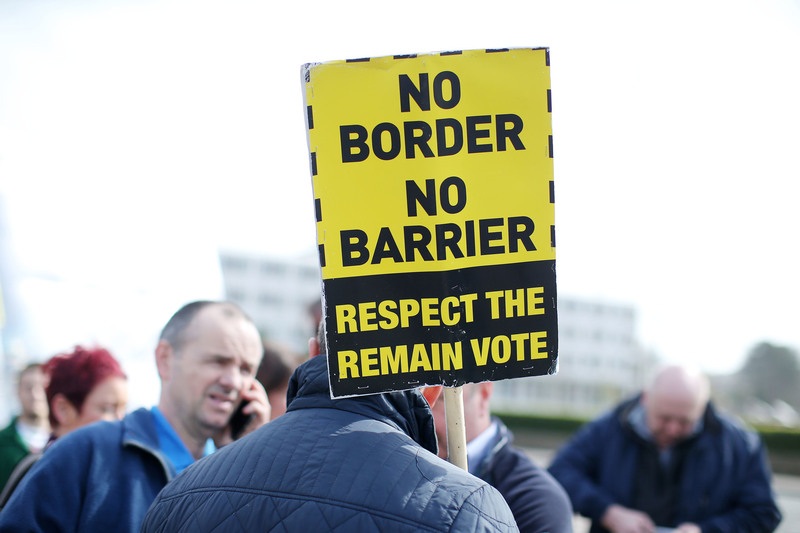 “It’s not just looking backwards to Brexit or 2016 [the US presidential election]. If these people were successful, which it appears they thought they were, then what do they do next? She says what is happening now with the revelations that public opinion may have been manipulated through the misuse of personal data of millions of people is a very real threat to democracy and goes to the heart of how people access and use information they can trust. “I hope that the parliamentary inquiry in Westminster will really dig to the bottom, regardless of who is implicated, because it’s concerning that there are questions being raised about a vote in one of the oldest democracies in the world, and similarly in our own country we have investigations going on. “But everyone, regardless of partisanship, should want to know what happened because if we don’t know, we can’t try to prevent it from happening again. Despite the denials by some of those faced with allegations, does she believe the US presidential election result and the Brexit referendum were linked? “I don’t have enough information on my own to draw any conclusions about linkage between the Brexit campaign and the 2016 election in our country,” she says. “But there’s been some very troubling testimony given and documents disclosed that suggest some of the very same people were involved and that there may well have been some cross-over of information and funding that deserves to be examined. “Look, if after a full, fair, independent examination these fears are found to be unfounded, that’s also important. This article is also published today in The Irish Times. Bill Clinton will be among the guests at Queen’s University Belfast’s conference, Building Peace: 20 years on from the Belfast/Good Friday Agreement, on April 10th, the anniversary of the signing of the agreement.